We love smoothies here. How about you? Which are your favourite ingredients? Take the pineapple, kiwi and oranges out of their skins, hull the strawberries and chop all the fruit up. 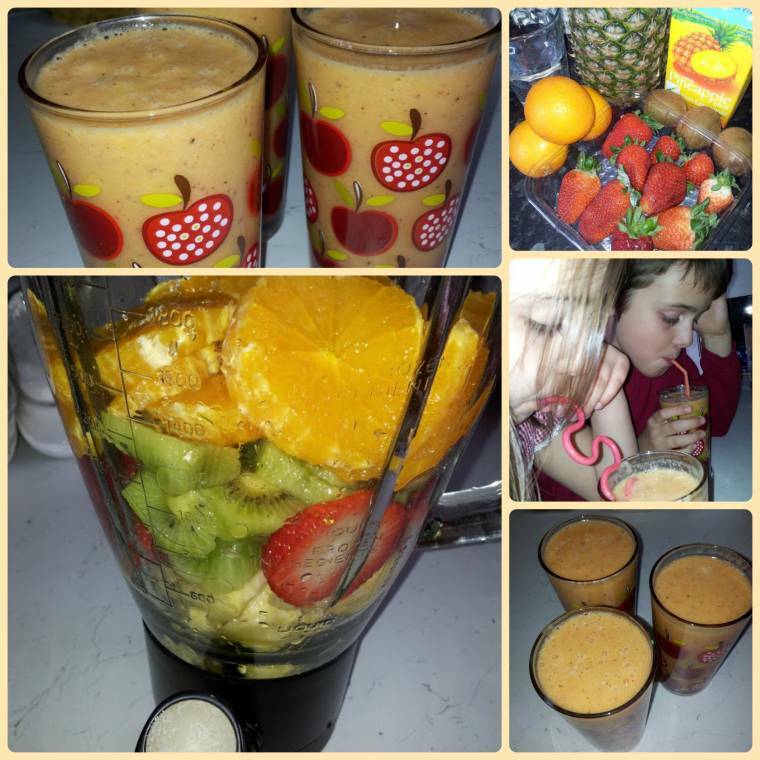 Place the fruit, water and pineapple juice in a smoothie maker. 30 seconds on mix, 30 seconds on smooth. These look good. I don't really make many smoothies but I know I should! Thanks Heather 🙂 I love smoothies ..
Whoo yummy, these look nice. Fresh fruit drinks are absolutely the best! Thanks for linking up at Thursday Favorite Things, can't wait to see what you'll share next week!